Cooks caught three of eight targets for 74 receiving yards, adding nine rushing yards on two carries during Sunday's 29-27 win against Green Bay. Cooks caught four of five targets for 64 yards and a touchdown during Sunday's 39-10 win over the 49ers. Cooks caught two of six targets for 53 yards during Sunday's 23-20 victory over Denver. Cooks (concussion) is listed as active for Sunday's game at Denver, Myles Simmons of the Rams' official site reports. 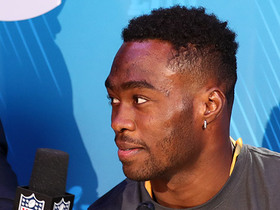 Analysis: This was merely a formality after Cooks cleared the concussion protocol Saturday. Working with Cooper Kupp (concussion) and Robert Woods, the trio will seek to stave off temperatures in the low-20s F and snow against a Broncos defense that has allowed 12.6 yards per catch and six touchdowns to wide receivers this season. Cooks officially cleared concussion protocol and is set for Sunday's matchup with the Broncos. Analysis: Cooks logged a full workload at Friday's practice, so this news is relatively unsurprising. Assuming he stays symptom-free and avoids any setbacks, he and quarterback Jared Goff are set to go up against a mid-tier Broncos' pass defense, while it's worth mentioning that snow is in the forecast for Denver on Sunday. Cooks is poised to clear the concussion protocol in advance of Sunday's game in Denver, Rich Hammond of The Orange County Register reports. Analysis: Cooks' practice reps this week were directly correlated with his standing in the concussion protocol. After a full showing Friday, he's on the brink of gaining clearance to play. The only thing standing in his way is an evaluation with an independent neurologist Saturday. As long as he's symptom-free Sunday, he'll be available to Jared Goff against the Broncos' mid-tier pass defense (256.2 yards allowed per game). Cooks (concussion) practiced in full Friday and doesn't have a designation for Sunday's contest at Denver, Cameron DaSilva of USA Today reports. Cooks (concussion) was a limited participant at Thursday's practice, Rich Hammond of the Los Angeles Daily News reports. Coach Sean McVay said Cooks (concussion) will participate in individual drills Thursday, Myles Simmons of the Rams' official site reports. Cooks (concussion) was listed as a non-participant at Wednesday's practice, Rich Hammond of the Los Angeles Daily News reports. 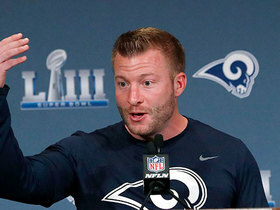 Analysis: Coach Sean McVay said earlier in the day that Cooks and Cooper Kupp (concussion) participated in a walkthrough, which equates to a limited designation for most teams. That apparently isn't the case for the Rams, however. Still, McVay told Hammond that he "feels good" about both wideouts' chances of being able to play Sunday in Denver. An actual appearance at practice Thursday would put Cooks and Kupp on the path toward active statuses in Week 6. Coach Sean McVay said Cooks (concussion) participated in Wednesday's walkthrough and "feels good" about the wide receiver's chances of playing Sunday at Denver, Rich Hammond of the Los Angeles Daily News reports. Analysis: Considering McVay's comments, Cooks seems destined to be listed as limited on Wednesday's injury report, but both he and Cooper Kupp are still in the concussion protocol. 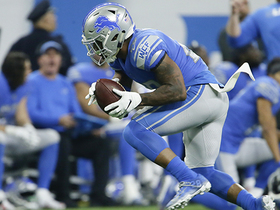 If even one of the duo doesn't gain clearance from an independent neurologist prior to Sunday's game, Josh Reynolds would be in line for a significant share of the offensive snaps in three-receiver sets. Head coach Sean McVay is optimistic Cooks (concussion) will be available for Week 6 against the Broncos, J.B. Long of ESPN Los Angeles reports. Cooks has been ruled out for the remainder of Sunday's game against the Seahawks with a concussion. Analysis: Cooks took a huge shot to the head after being targeted on a pass from Jared Goff and was visibly shaken. With Cooper Kupp also out with a concussion, Robert Woods and Josh Reynolds will be leaned on heavily in the Rams passing game. Cooks will finish the game without a catch. Cooks was taken to the locker room for a likely concussion evaluation during the second quarter of Sunday's game at Seattle, Myles Simmons of the Rams' official site reports. Analysis: There wasn't a flag on the helmet-to-helmet hit from Seahawks safety Tedric Thompson, but Cooks doesn't seem like a candidate to return to the game. Upcoming tests will determine whether he has a chance to do so. 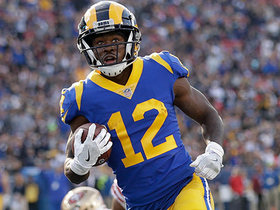 In the meantime, targets likely will filter down to Josh Reynolds behind Cooks' fellow starters Robert Woods and Cooper Kupp. 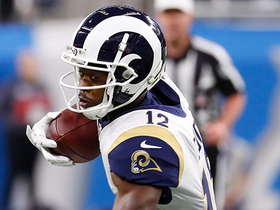 Cooks brought in seven of eight targets for 116 yards and a touchdown in the Rams' 38-31 win over the Vikings on Thursday night. He also gained 10 yards on his sole rush and fumbled once. Cooks caught seven of eight targets for 90 yards in Sunday's 35-23 win over the Chargers. Cooks caught seven of nine targets for 159 yards in Sunday's 34-0 win over the Cardinals. Cooks caught five of eight targets for 87 yards and added a six-yard rush in Monday's 33-13, Week 1 win over Oakland. 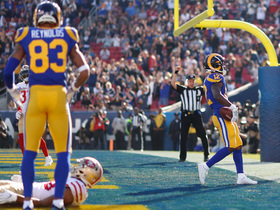 Analysis: Cooks made an immediate impact in his Rams debut, finishing with two fewer yards than Cooper Kupp and Robert Woods combined despite seeing one fewer target than each of those guys. His biggest play was a 30-yard catch-and-run to get down to the eight-yard line, setting up a Kupp touchdown on the next play to close out the third quarter and break a 13-13 tie. While it's still very early, this performance suggests Cooks is well-positioned for a fourth consecutive season over 1,000 receiving yards. Cooks will be rested for Saturday's preseason game against the Texans, Myles Simmons of the Rams' official site reports. Analysis: Cooks is one of many Rams being held out Saturday, as right guard Jamon Brown is the only offensive starter participating in the preseason contest. With the first-team offense not playing, it will open up opportunities for roster-bubble players as well as other receivers that are currently lower on the depth chart such as Mike Thomas and Josh Reynolds. Cooks has not been limited by injury this preseason and looks on track to play Week 1 against the Raiders. 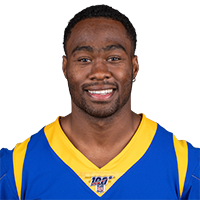 Cooks signed a five-year extension with the Rams on Tuesday, Lindsey Thiry of ESPN.com reports. Cooks (groin) participated in June minicamp, Myles Simmins of the Rams' official website reports. Cooks did not participate in Tuesday's OTAs due to a minor groin issue, Rich Hammond of the Los Angeles Daily News reports. The Rams plan on signing Cooks to a contract extension before Week 1, Steve Wyche of NFL Network reports. 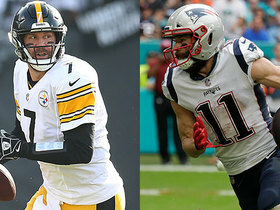 The Patriots are slated to trade Cooks to the Rams along with a fourth-round draft pick for first- and sixth-round draft choices, Adam Schefter of ESPN reports. Cooks (head) finished the regular season with 65 catches (on 114 targets) for 1,082 yards and seven TDs in 16 games. Analysis: Cooks, who also ran nine times for 40 yards this past season, was knocked out of Sunday's Super Bowl loss to the Eagles after just 18 snaps. While the Patriots were able to rack up 33 points in the contest, they had to adjust their game plan minus their top deep threat for almost three full quarters. The 24-year-old speedster remains under contract with the Patriots in 2018 and will once again serve as one of QB Tom Brady's top pass-catching weapons next season. Cooks has been ruled out for the remainder of Sunday's Super Bowl with a head injury. Analysis: Cooks was not cleared to return after undergoing evaluation following a hard hit from Philadelphia safety Malcolm Jenkins. The ex-New Orleans Saint will finish the game with one catch for 23 yards and one carry for one yard. Expect Philip Dorsett to see increased snaps with Cooks out. Cooks was taken to the locker room in the second quarter of Sunday's game against the Patriots after taking a hard hit from Eagles' safety Malcolm Jenkins, Ian Rapoport of NFL Network reports. Analysis: Cooks caught a 23-yard pass from Tom Brady and did not see Jenkins coming as he tried to bounce outside. The speedy receiver is presumably undergoing concussion tests to determine if he can return to the contest. More information will be known following evaluation. Cooks brought in six of eight targets for 100 yards in Sunday's 24-20 AFC championship game win over the Jaguars. Cooks caught two of his five targets for 19 yards and carried once for six yards in Sunday's 37-16 win over the Bills. Analysis: With scores of fantasy titles on the line, Cooks' quiet effort in Week 16 could not have come at a worse time, but the speedy wideout wasn't a big part of the game plan Sunday, with the Patriots' victory fueled by the ground game, which was paced by Dion Lewis' 129 rushing yards. Assuming the the team playing for playoff seeding in Week 17, Cooks is a bounce-back candidate next weekend against the Jets. Cooks caught four of seven targets for 60 yards and a touchdown during Sunday's 27-24 victory over the Steelers. Cooks caught one of seven targets for 38 yards in Monday night's 27-20 loss to the Dolphins. 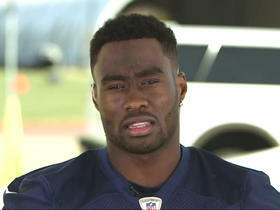 Cooks was on the field for 68 of 70 snaps on offense in Sunday's 23-3 win over the Bills, ESPN's Mike Reiss reports. 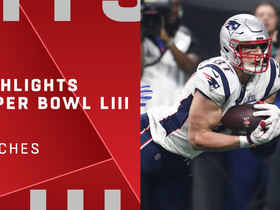 Analysis: Despite the high snap count, Cooks had a quiet day (two catches on three targets for 17 yards and one carry for five yards), as the Patriots' triumph was largely fueled by the team's versatile backfield. Future game plans will no doubt feature Cooks more prominently, as a deep threat, and he could well bounce back next Monday versus a Dolphins defense that he caught six passes for 83 yards and a TD against in Week 12. Cooks brought in six of seven targets for 83 yards and a touchdown in Sunday's 35-17 win over the Dolphins. He also rushed once for 11 yards. Cooks caught six of nine pass attempts for 149 yards and a touchdown in Sunday's 33-8 thrashing of the Raiders. Analysis: The vast majority of the yards came on plays of 52 and 64 yards, the latter going for a touchdown as Cooks used his speed to blow by a lapsing Raiders secondary. It was the second time in two weeks that he tied his season-high reception total of six. The Oregon State product will attempt to continue his momentum against the Dolphins in Week 12. 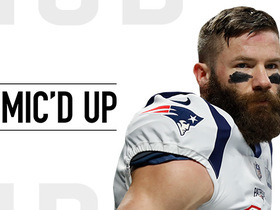 Cooks logged 68 out of a possible 70 snaps on offense in Sunday's 41-16 win over the Broncos, ESPN's Mike Reiss reports. Analysis: Cooks hauled in six of his team-high 11 targets for 74 yards Sunday, while maintaining his usual heavy workload in the Patriots' offense. The absence of Chris Hogan (shoulder) probably contributed to Cooks' high target count in Week 10 and Hogan is no lock to return to action this coming weekend against the Raiders. As a result, Cooks looks like a solid Week 11 lineup choice against an Oakland pass defense that isn't as daunting as the one he faced Sunday.